This is one of my favorite book covers ever!!! … And the book is pretty good, too! If you were weird and awkward growing up (and maybe still consider yourself weird and awkward! ), you’ll enjoy this book! Now if only my lunch break wasn’t over, I’d continue reading in the sunshine….enjoy your weekend! 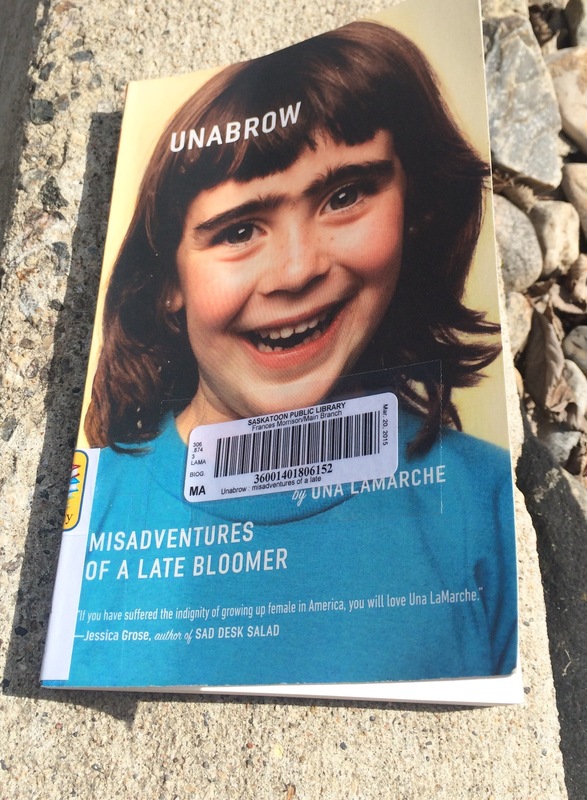 This entry was posted in Photography and tagged book recommendation, I love my public library, library books, lunch break post, Una LaMarche, Unabrow. Bookmark the permalink.